Learning to walk, talk and skate were almost simultaneous milestone’s in Darren’s early development. 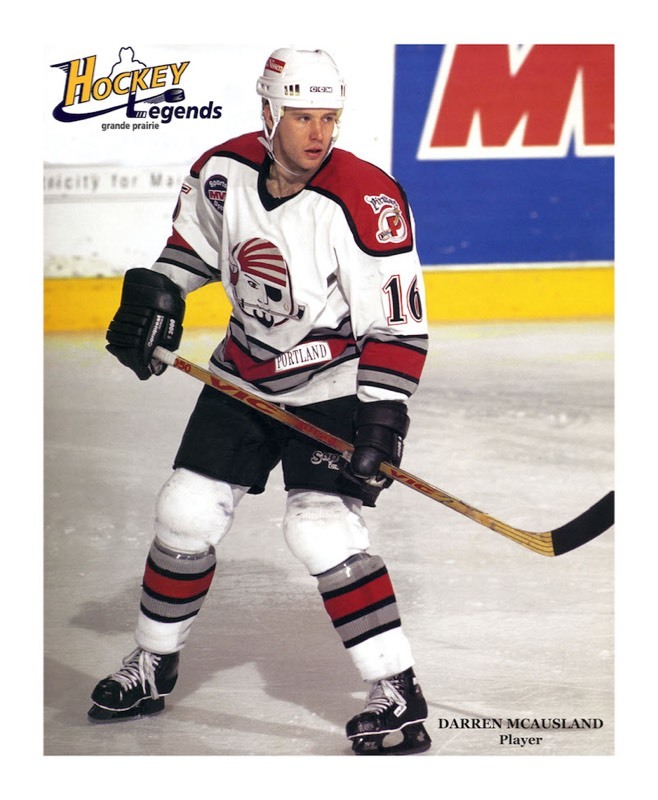 Sloughs and a dugout in the hamlet of Grovedale in Northern Alberta is where Darren McAusland learned to skate and play the game that would become his first career. Moving through the minor hockey ranks in Grande Prairie he consistently played a notch ahead of his age category: under-age and over-achieving. He skipped the midget category altogether to play for the Grande Prairie Junior North Stars at age sixteen and then moved on to play junior hockey in Seattle. Turning professional as a Washington Capital he played three pre-season games in the NHL and then had four years when he excelled in the AHL as a Portland Maine Pirate where Fans declared him their Unsung Hero. His Coach in Portland, Barry Trotz (currently coach of the Nashville Predators in the NHL) considered him to be the ultimate team player. He wound up his professional career playing for several teams in Europe and the Southeastern US. He is proud of his rural roots in the hamlet of Grovedale and family was the thread connecting Darren’s early experience from a dugout in Grovedale to minor hockey in Grande Prairie, and a fulfilling professional career that enabled him to travel widely. Read Darren's full story "From Ponds to the Pros"